Fertiliser use has been cut by almost 70% on the farm that’s home to one of the UK’s highest yielding dairy herds following the decision to treat slurry with an inoculant and capitalise on its total manurial value. 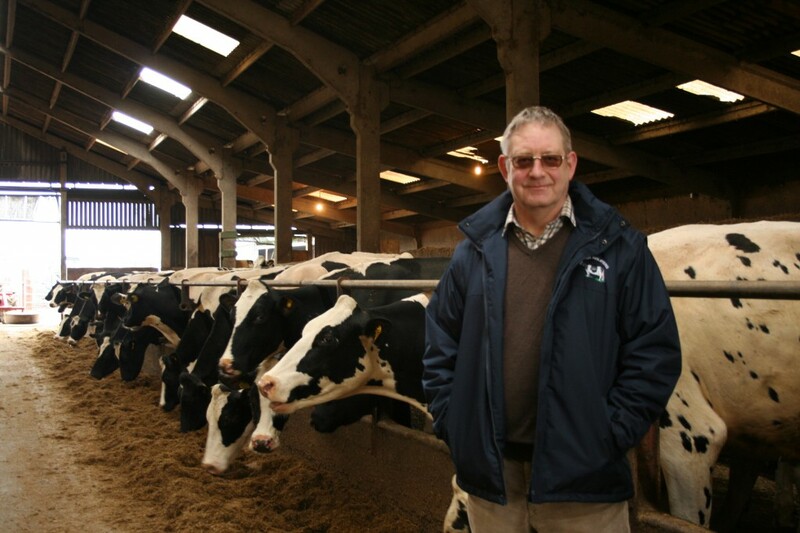 James Rogerson, whose Avenham herd of 320 pedigree Holsteins has an average yield of 13,000kg, started treating his slurry four years ago with the inoculant Slurrybugs which has been developed by the Lancashire-based company Envirosystems. Since then he has steadily reduced the amount of fertiliser applied to grassland at Game Farm, Singleton, near Blackpool – a management decision based on the outstanding performance of his pastures following continued applications of treated slurry. There has been no reduction in grassland performance on the farm even though fertiliser use has been gradually reduced during the recent years of poor springs and summers. In fact the opposite has been the case. This year third cut silage was being made at Game Farm during the second week in July. The farm has now reduced fertiliser use by 70 tonnes of N and 20 tonnes of P and K. “These are figures that even I find difficult to get used to but that’s what we’ve actually achieved by treating the slurry and being able to make full use of its true nutrient value. 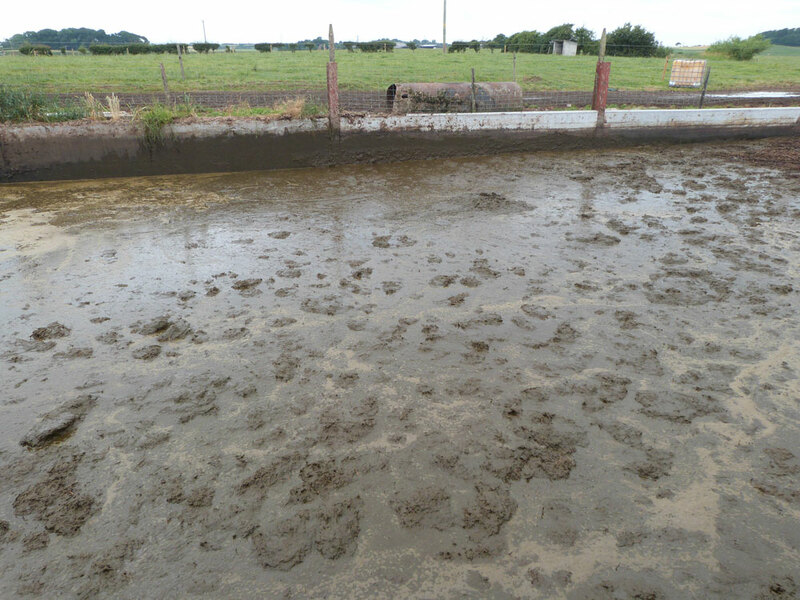 Before the first treated slurry was actually spread at Game Farm it was noticeable that there had been an improvement in the way the slurry could be agitated in the store. Other initial observations noted that the slurry stayed in suspension longer following stirring. “We didn’t have a scenario that sees you pumping slurry that’s like water at the start and pumping slurry at the end that’s almost too thick to deal with. “After we applied it the first time by we got tremendous grass growth,” says James. Slurry application rates at Game Farm depend on the time of year and the weather and ground conditions but are between 2-4000 gallons an acre per spread. There can be up to four or even more slurry applications during the year using a dribble bar. No phosphate or potash had been applied during the time nitrogen use had been reduced but a soil analysis indicated that indices for both were adequate. And because there was no adverse response evident in grass growth James decided to reduce nitrogen applications even further and also cut phosphate and potash applications by 50%. The following year another soil analysis was carried out. It showed P and K levels were still high and because grass growth was still very good no additional P and K was applied. “That year we used considerably less nitrogen for first and second cut silage and none at all for third cut. At that point I was using just 25% of the amount of fertiliser I used to use and no P and K.
The year after that no P and K was applied and grass growth continued to be very good but nitrogen use was maintained at just 28 tonnes on 350 acres. This year, because of increased grass acreage, 32 tonnes of nitrogen have been used and because there’s been extensive re-seeding it was decided to apply P and K. “I didn’t want to apply slurry to newly sown grasses so we have used P and K after first cut silage was taken,” says James. Treating slurry with the bacterial inoculant SlurryBugs has the potential to make savings of up to 75% on nitrogen fertiliser costs by capturing the nitrogen that would otherwise be lost to the atmosphere. “The two most relevant aspects of a slurry analysis are the pH and the dry matter. The aim is to improve the nutrient value of liquid slurry and to achieve a pH that will encourage aerobic activity. And treating slurry in the summer is equally important. It’s a time when bacterial activity in the store benefits from rising temperatures, even though treating slurry is often considered to be a winter job. “Making greater use of a farm’s resources is going to become an evermore essential part of the way farms are run in the future if we want to reduce the rocketing cost of everything that comes in through the farm gate,” says Liz Russell, managing director of Envirosystems. Impressed by the response of the pasture following the first year of receiving treated slurry encouraged James Rogerson to apply less nitrogen at the start of the next season. Grass growth indicated there had been no adverse effect and so second cut silage ground also received less nitrogen and none was applied for third cut. By the end of the second year the amount of nitrogen originally used had been reduced by 50%. Maximising the value of nutrients within slurry – when they could otherwise be wasted – is being investigated in a three-year trial at Lancaster University now underway at James Rogerson’s Game Farm. The research will also look at the potential of inoculated slurry to act as a vector for the changes needed to turn soil organic phosphorus into inorganic phosphorus and facilitate its uptake by plant roots. Trials previously undertaken at Game Farm – and conducted by Lancaster University – showed that following five weeks of treatment with an inoculant, treated slurry contained three times more N when compared with untreated samples. 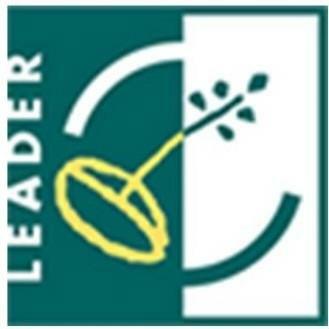 Treated slurry showed nitrogen levels at 5.6Kg/m3 compared with untreated slurry at 1.7Kg/m3. “In the treated slurry the ammonium nitrogen appeared to be used up by the SlurryBugs inoculant and was transformed into organic forms of nitrogen,” says Liz Russell who believes the increased retention of nitrogen could explain the reduction in ammonia emissions (odour) following treatment – another advantage of using SlurryBugs showed that following five weeks of treatment with an inoculant, treated slurry contained three times more N when compared with untreated samples. Treated slurry showed nitrogen levels at 5.6Kg/m3 compared with untreated slurry at 1.7Kg/m3. “In the treated slurry the ammonium nitrogen appeared to be used up by the SlurryBugs inoculant and was transformed into organic forms of nitrogen,” says Liz Russell who believes the increased retention of nitrogen could explain the reduction in ammonia emissions (odour) following treatment – another advantage of using SlurryBugs.